Singh warns that a drought similar to the Great Drought of 1876-1878 could be made worse by global warming. VANCOUVER, Wash. – A Washington State University researcher has completed the most thorough analysis yet of The Great Drought — the most devastating known drought of the past 800 years — and how it led to the Global Famine, an unprecedented disaster that took 50 million lives. Deepti Singh, an assistant professor in WSU’s School of the Environment, used tree‑ring data, rainfall records and climate reconstructions to characterize the conditions leading up to the Great Drought, a period of widespread crop failures in Asia, Brazil and Africa from 1875 to 1878. The Global Famine is among the worst humanitarian disasters in history, comparable to the influenza epidemic of 1918‑1919, World War I or World War II. As an environmental disaster, it has few rivals. Making matters worse were social conditions, like British colonialists hoarding and exporting grain from India. Some populations were particularly vulnerable to disease and colonial expansion afterwards. “In a very real sense, the El Niño and climate events of 1876‑78 helped create the global inequalities that would later be characterized as ‘first’ and ‘third worlds’,” writes Singh, who was inspired by “Late Victorian Holocausts: El Niño Famines and the Making of the Third World.” The book details the social impact of the Great Drought and subsequent droughts in 1896‑1897 and 1899‑1902. Its author, Mike Davis, is a distinguished professor at the University of California, Riverside, and a co‑author on Singh’s paper. Despite its impact, few studies have characterized the dynamics of the drought, and Singh’s analysis is the first global-scale analysis of climatic conditions at the time. “This is the first time that somebody is taking multiple sources of data — like rain gauges and tree-ring drought atlases that let us go back 500 and 800 years (respectively) — as well as multiple datasets of past climatic conditions, to quantify the severity of this event and the severity of the conditions that led to it,” Singh said. The Great Drought actually was several droughts, Singh found, beginning with a failure of India’s 1875 monsoon season. East Asia’s drought started in the spring of 1876, followed by droughts in parts of South Africa, northern Africa and northeastern Brazil. There were also droughts in western Africa, Southeast Asia and Australia. The length and severity of the droughts prompted the Global Famine, aided in no small part by one of the strongest known El Niños, the irregular but recurring periods of warm water in the tropical Pacific Ocean. That triggered the warmest known temperatures in the North Atlantic Ocean and the strongest known Indian Ocean dipole — an extreme temperature difference between warm waters in the west and cool waters in the east. These in turn triggered one of the worst droughts across Brazil and Australia. 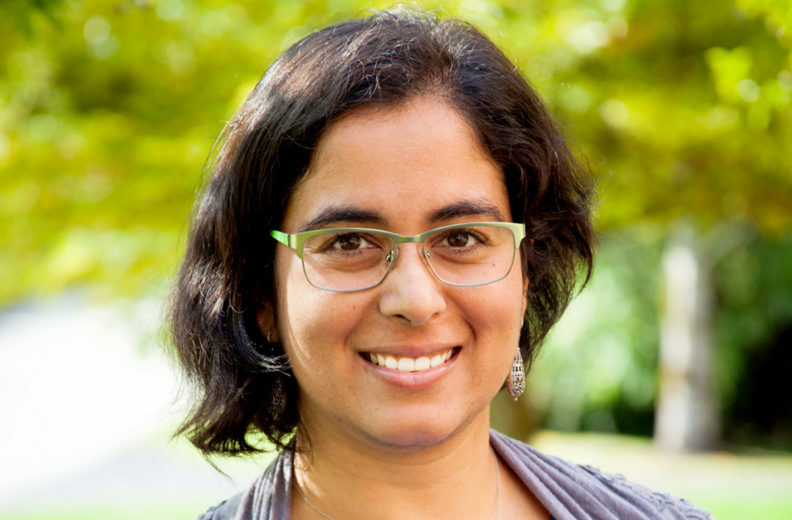 Singh’s work was supported by a fellowship from Columbia University’s Lamont‑Doherty Earth Observatory, where she collaborated with several of the paper’s co‑authors. She continued working on the paper after arriving at WSU Vancouver this June.